Everyone loves the fast rides. Even we do love the fast cars. So that’s the reason automobile companies produce supercars. Here you won’t matter that how much is the consumption of the car. Or how much expensive it is. The only thing to matter at this platform is that how fast does it travel and how beautiful does it look like. The Supercars are super indeed because of their shape and performance. They are designed in a way that the natural environment even speeds-up the car. This allows them to show more performance than their mechanical specifications. Let’s begin from France. We have got a Centaur with us from Bugatti called Chiron. While as per the Bugatti releases that car has been named after the Monegasque driver, Louis Chiron. Chiron has got a mind-blowing performance schedule. It has 8 L W16 Quad – Turbocharged engine. Well, it has 1479 horses to run at 1,180 lb-ft of torque. And that what makes it reach 62 mph within 2.4 seconds. And for some safety purposes, the top speed of Chiron has been limited to 260 mph which could have gone till 430 mph. You just need to attach her the wings and she’ll fly! Yet another European in our list of supercars is here. 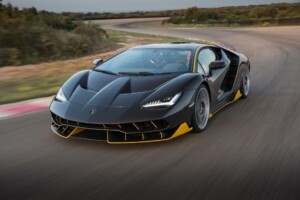 This time it is the legendary Lamborghini with its Centenario. It comes with a 6.5 L V12 engine with 759 horses at 690 lb-ft of torque. It just takes 2.7 seconds to reach the 62 mph mark and maintains a controlled top speed of 186 mph. 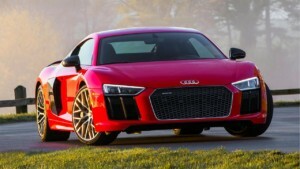 The spectacular Audi R8 V10 Plus is the next car in our list. The performance brackets of R8 V10 Plus are even quite broad. She comes with a 5.2 L V10 engine with 540 horsepower and 413 lb-ft of torque. This sports premium car takes 2.7 seconds to reach 62 mph and has a maximum speed of 205 mph. Let’s get to Japan. Not actually Japan, let’s move to Ohio. The Honda’s Acura NSX, which has two market targets. The first to get into the sight of speed lovers. And the second for those who need an errand runner. The tunings of Acura NSX can make it a monster as well as a daily chore runner. 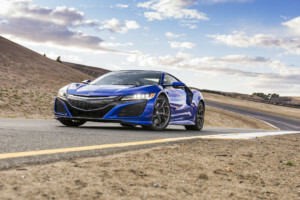 While Acura NSX comes with a 3.5 L V6 engine having 573 horses at 406 lb-ft of torque. At her peak tuning, Acura NSX can reach 62 mph within 2.7 seconds with a top speed of 191 mph. Acura NSX is a hybrid supercar. 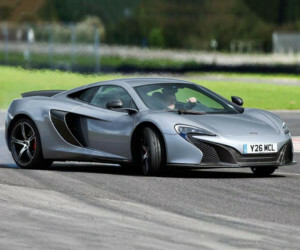 The British McLaren 650S is the pproductof 2014. 650S comes with a 3.8 L V8 engine powered by 641 horses at 650 PS of torque. That’s where the 650S gets her name. It can accelerate up to 62 mph within 3 seconds with a top speed of 205 mph. The franchise is further divided into a number of models, but all having the same engine. Things that differ are the engine tuning and the aerodynamics of the car. While staying in the Britain, we get another McLaren. This time it is McLaren P14. It comes with a 3.8 L-twin turbocharged V8 engine at 641 horses. The car has yet been featured in an Android Game developed by Electronic Arts and Fire Monkey. By 2017 it is expected that P14 will go across markets. Well, it can reach 62 mph within 3 seconds and has a maximum speed of 207 mph. Well, this is another British companion in our list. The Bentley EXP 10 Speed 6, which was pronounced Launched in 2015 but will come out for the public in 2018. The tests had the V6 engine in the machine, while the upgrade holds the 4 L Twin-turbocharged V8 engine borrowed from Bentley Continental GT. 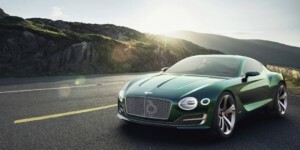 The EXP 10 Speed 6 is expected to reach 62 mph within 3 seconds with a top speed of 200 mph. Now we’ve got the stunning Italian Ferrari 488 GTB. 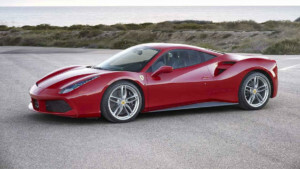 The 488 in the franchise name of the car holds a distinction. It means that every cylinder in 488 GTB is of 488 cm3. Well, the sweet 488 GTB has got a 3.9 L V8 twin – turbocharged engine. It has 661 hp at 561 lb-ft of torque. And she can reach 62 mph within 3 seconds with a top speed of 205 mph. 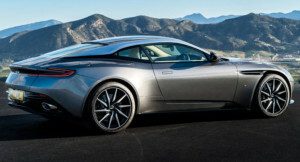 The James Bond’s Aston Martin DB11 gets its way to the list of supercars. It is the successor of the famous Aston Martin DB9 played in Need For Speed Most Wanted (2005). Well, the 2016 DB11 comes with a 6 L V12 engine. It has 600 horses to run at 516 lb-ft of torque. This baby reaches 62 mph within 3.9 seconds with a top speed of 190 mph. This German fella is doing much with luxury. But it has not even left a single stone unturned to bring in performance. 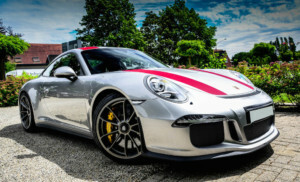 The Porsche 911 – R comes with a 4 L six – inline – cylinder engine. It has the power of 500 hp over 338 lb-ft of torque. It has a top speed of 200 mph while it covers 62 mph within 3.7 seconds.